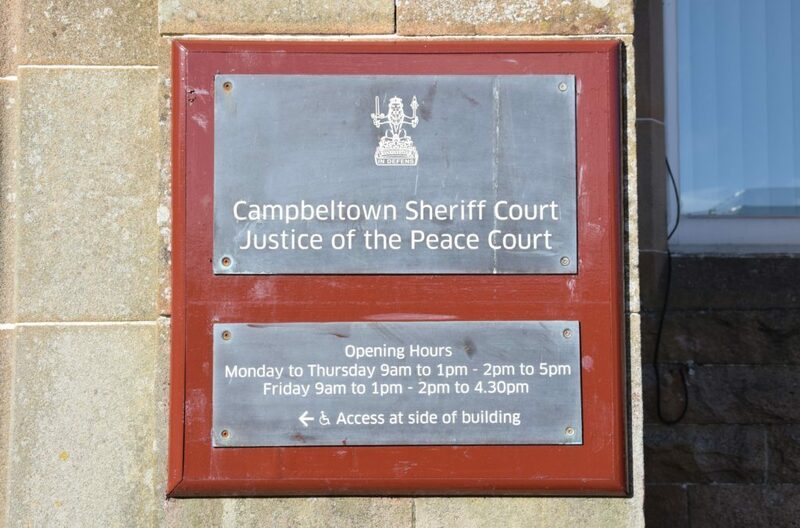 A Campbeltown sheriff warned a Tarbert woman she was very lucky to have not been jailed for dangerous driving that destroyed a shop front. 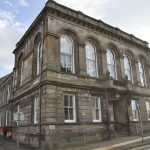 In November sentence was deferred on Isla MacDonald, aged 35, of 1 Glenfield, Tarbert, who pleaded guilty at Campbeltown Sheriff Court to driving with 177 milligrammes of alcohol in 100 millilitres of blood, 3.54 times above the 50 milligramme limit, in Harbour Street, Tarbert, on September 2. She also pleaded guilty to driving dangerously and at excessive speed, losing control of the vehicle in a built-up residential and commercial area and colliding with the parked vehicles. She caused one of the parked vehicles to mount the pavement and smash through a shop front, causing extensive damage to all vehicles involved as well as the shop. At the earlier hearing procurator fiscal depute Eoin McGinty told the court that at 3am, police became aware of a collision in Tarbert and, while en route, were contacted by MacDonald who said she had been drinking. On Thursday of last week, Sheriff Patrick Hughes fined MacDonald £600, disqualified her from driving for two years on both charges, ordered her to take an extended driving test before getting behind the wheel again and gave her 200 hours unpaid work. He said the length of the ban could be reduced by 25 per cent if MacDonald took a drink driver’s rehabilitation course. Summing up Sheriff Hughes said that if someone had been in front of the window the case would have been at the High Court and MacDonlad would be facing a prison sentence. Sheriff Hughes warned MacDonald that any breach of the unpaid work requirement would leave no alternative but prison. Earlier MacDonald’s defence solicitor, Stephen MacSporran, said: ‘My client pleaded guilty at the earliest opportunity. Mr MacSporran added that MacDonald is of limited means from her job as a housekeeper at the Kilberry Inn and could only afford fine repayments of £20 per month.